Available as a petrol only the entry level model returns up to 36.2mpg in extra urban mode. 0-62mph is an impressive 5.7 seconds with a maximum speed of 155mph and for a car this size that’s seriously quick. This car is quiet even at motorway speeds and offers a smooth ride especially for those in the back. The interior is clearly aimed at the executive traveller with a range of electronics and technology to please both driver (chauffer) and passengers alike. The cabin would compete against the finest hotels in the world, this is a flagship executive saloon. The luggage compartment in the rear is set at 560 litres. More than enough for the luggage to the airport for those business trips abroad. 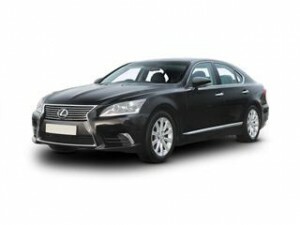 Class and elegance usually come at a price however the Lexus LS could be within your budget when you use Coast2Coast Cars specialist car purchase experts. We have industry experience in acquiring new Lexus cars at substantially cheaper prices then list price. What’s more it is easy to get started, simply build the Lexus LS you desire with our simple car building form and we do the rest. Once you are happy with the discounted price on your exact spec and model you simply deal with the dealer direct to continue the purchase. You are under no obligation at any time using us and there’s no fee for our service.